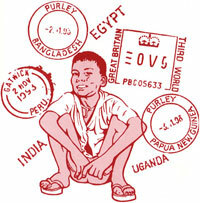 Purley OverSeas Trust derives all its funds from donations and fundraising events. As a volunteer organisation, you can be sure that NOT ONE PENNY of your donation goes to any member of the committee or their families. We keep all our fundraising costs to a minimum (venue hire, catering, etc. ), to ensure our good causes receive AS MUCH MONEY AS POSSIBLE. If you’re a UK taxpayer, you can also choose to add Gift Aid to your donation, which means the UK Government will give us an extra 25% on top of any donation you make. You can easily set up a Standing Order with your bank by printing out this POST Standing Order Form.